Built to order in the U.S.A.
April Anniversary Special: Free Gig Bag with Purchase! Re-imagined, affordable instruments that are as enjoyable to play as they are artfully designed. Built in the Berkshires of Massachusetts with locally sourced materials & solar power, offering innovative designs & individual customization. Established in 1999 by Dale and Phyllis Webb, now offering a variety of unique stringed instruments suitable for all players. NEW!!! November 2018 - Flea MANDOLIN! Mandolin Flea now available and ready for ordering. Four steel strings tuned GDAE, hardwood fretboard, arched spruce top with floating bridge. 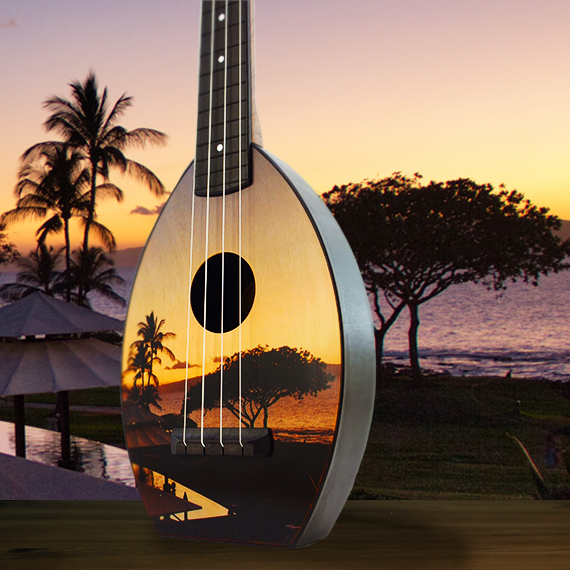 The same lightness and easy play-ability as the Flea ukulele but with the loud, bright sound and sustain of a mandolin. 4 string baritone version tuned DGBE new this year as well as standard banjo G tuning on the 5 string. Lightweight and portable, these banjos are super easy to play and great for travel. These iconic instruments have been a standard since 1999. Loved for their big warm sound, ease of play, and durability for travel. Suitable for all players with lots of options and customization available. Viola scale and tuning now available. Acoustic and electric with optional pickup for amplification, this unique instrument is as ready to travel as it is easy to play. Sets a new standard for short scale, solid body, electric basses: versatile, portable, standard bass tuning, EADG. Metal wound strings give it a feel and sound of a full size bass guitar. Also available as a Baritone with DGBE tuning. Here at Magic Fluke we build each instrument to order, meaning there are endless opportunities to customize your instrument along the way. 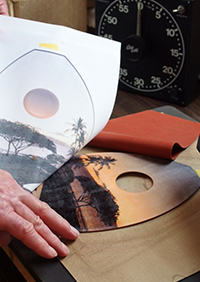 We offer full color dye-sublimation of your art (or you may choose to hand paint your own) and laser cutting and engraving. 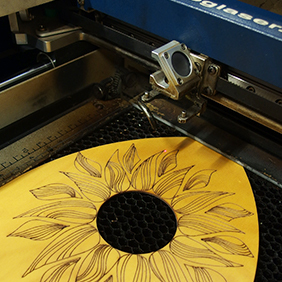 We use our Epilog 50 watt laser machine for everything from zapping out soundboards and fret-boards, to custom logos and designs. The custom possibilities are endless with this tool. We are also open to modifying our existing parts to create completely custom instruments. Feel free to contact us. We build all of our instruments right here in southern Berkshire County, and we invite anyone to stop in to see the operation, browse our retail hallway, and test drive our instruments.